I can’t help it, I love watching doctor shows. There’s something really interesting about seeing drama in medicine, especially when some of the gibberish the doctors are saying make sense. 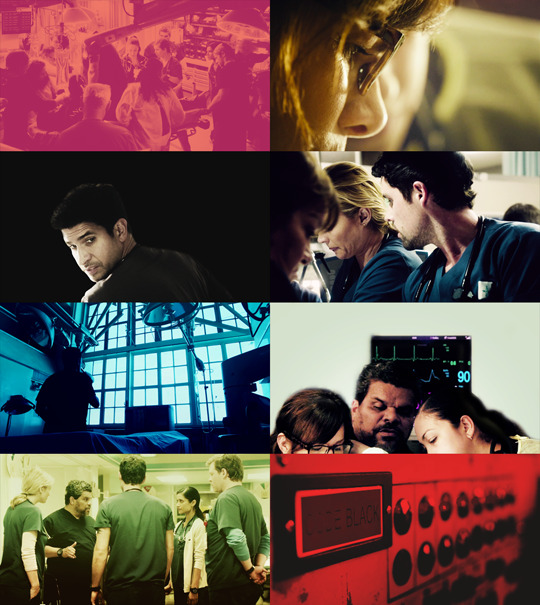 While Code Black doesn’t have any of that aspect in it yet (since it’s about the Emergency Department and most of the gibberish is about acute trauma, instead of deranged physiology or obscure diseases), it’s still exciting to watch. I remember watching an episode of House which involved sports medicine. I can’t remember the entire case properly, but I remember tying it in with erythropoietin and how it stimulates the bone marrow to create more red blood cells. Having lots of red blood cells is something that is good for people in athletic competitions because it gives you extra stamina. You can get lots of red blood cells by taking steroids, which is why athletes have blood tests done to make sure no one’s cheating by taking steroids! I’ve said this before, but I can’t really do anything like that in Code Black, where patients are coming in the ambulance with burns and falls and suffocation- all trauma. 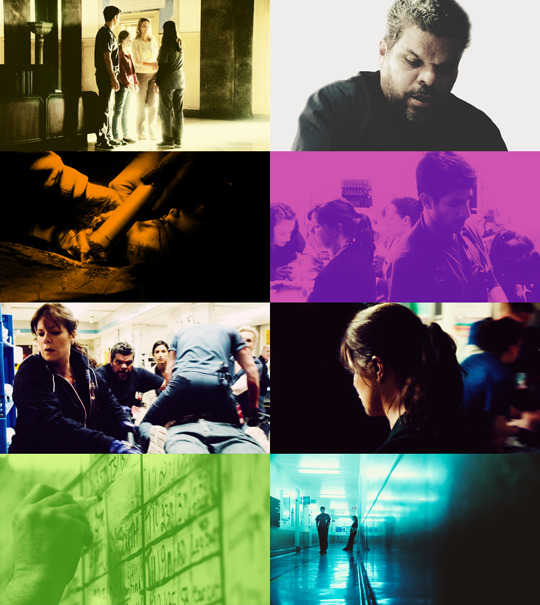 This show covers all the stress and messiness of an ER. One of my favorite little clips is when the camera shows a sweep mop trying to get all the blood cleaned off the floor. It’s a fairly repeated concept clip (it might even be the same clip, I’m not sure) but it doesn’t fail to convey how there are messes happening there all the time and all you can do it is clean up and start again, in a never-ending cycle. There are moments when the acting is a little cringy, but it’s overall bearable. I like how the residents all have different personalities- for me, out of all of them, the two male residents stand out the most because they have such obvious flaws. Angus is a resident who got thanks to his dad. While he is smart, he’s also really unconfident (#relatable). Mario on the other hand, is somewhat desperate to stay where he is and is ready to dump his fellows under the bus if it means giving himself a sense of security. Of course, dirty tricks like that don’t work out in his favor and he eventually learns to knock it off. The female residents, Christa and Malaya are also interesting, while not as flawed. Christa was spurred into medicine by personal trauma and seems to be doing alright, same for Malaya. Instead of being interesting throughout the episodes I watched, they both only had specific events highlighting their characters. Christa’s problems came out when she received her first infant as a patient, which caused her to fall back several times. I really liked that- how she tried her best to be the baby’s doctor but due to her past, was unable to carry out procedures on the baby. She kept hesitating, but her attending doctor was okay with that and took over whenever she felt too overwhelmed to keep going. Malaya on the other hand, should be having my sympathy since she’s Indian, but she hasn’t really been shown in an particularly stressful situation where you could see what she was capable of. There was one episode where she had to deal with a black patient and in her attempt to be helpful, made her patient’s guardian feel like Malaya was stereotyping them. I laughed out loud when the guardian called Malaya “Princess Jasmine”. That’s it, literally. That’s all I remember about Malaya. I hope she comes up a bit more in the next episodes. The other characters are great. I really like Dr Rorish (she seemed a lot like House in the first episode, but she’s actually really different. The only similarity is that they both tend to use outrageous procedures, House more than Rorish), and Dr Hudson is my favorite AFTER Jesse. (It’s a ridiculous way of listing favorites, I know. It sounds like a math problem, please don’t try to solve it). Anyway! I’d give this show a 4/5. I was recommended this show by my friend, so shout out to you, you know who you are, and I would recommend this show to people interested in doing medicine. It certainly captures a lot of the emotions involved in medicine, especially like coming to terms with death and grief, whether the doctor’s or the patient’s. Unfortunately, it’s a very repeated tactic (the show is emotional punch after emotional punch) so it might not be a good idea to binge this show. Just a heads up.